These beautiful gold figurines are now selling in China. Speculators are buying gold faster than the world’s biggest producers can mine it as analysts forecast a 27 percent rally that may extend the longest run of annual gains since at least 1920. By Jeff Bolichowski, The Windsor Star May 28, 2010 8:22 AM. WINDSOR, Ont. — Tough decisions are in store for Veronica Penfold when Ontario's harmonized sales tax debuts at the gas pump. American Buffalo Gold Coins: 2010 Mint Just Released! This beautiful and rare coin is in high demand. We have limited quantities (2,400) available, so if you are interested please call and book your order today. Based on $1,213 spot gold we are selling them for only $1,329. Historically Unique - The American Buffalo Gold Coins are the only 24-karat gold coins ever struck by the United States Mint. Extremely Low Mintages - Historically speaking the American Buffalo one ounce sizes are 7.5 times rarer than American Eagles. Collectors always prefer rarer and higher quality coins. Rising Gold Demand - In a hot Gold market, American Buffalos are sure to be highly sought after by both investors and collectors making them easy to sell for years to come. This is a very well presented documentary that will give you an objective view of what is in store for the future of the global economy. Please do not view this as fear mongering, but simply a presentation of facts that need to be addressed very quickly. It is our belief that eventually the western world will come to its senses and make the proper changes necessary to stabilize and grow our economies, in REAL economic terms. However during this period of adjustment we will have to struggle through some rough times and much higher gold and commodity prices. 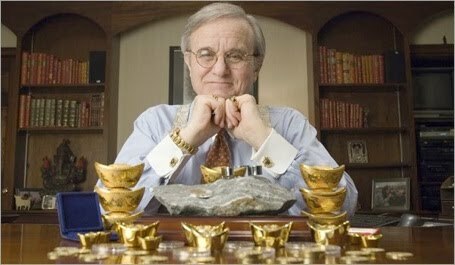 Gold has been a store of wealth and value for over 5000 years, have any of your stocks or mutual funds been around that long? Gold is NOT a company or a fund so it can NEVER go bankrupt or be worth ZERO. Can any company or fund claim this? Gold is "MONEY" that has NO debt attached to it, can any government currency or company say this? 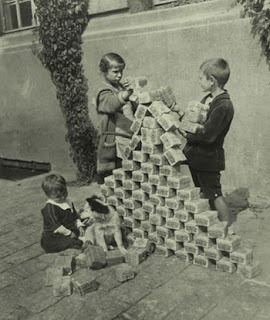 Gold cannot be created out of thin air, unlike all fiat paper currencies that governments issue today. If central banks around the world always have some gold stashed away, why should YOU be any different? There is always the right time and wrong time to convert a persons assets into gold (notice I didn't say invest). 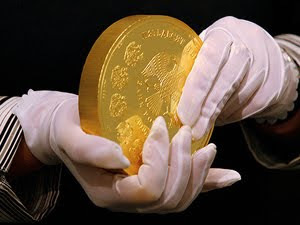 Over the last ten years it has obviously been the right time because of economic conditions and we believe the current conditions are far worse, and people should be converting even more assets into gold than before. Folks, at the core of it all GOLD is really financial insurance not an investment. It should be viewed as something that will maintain your standard of living during economic uncertainty. The best way to view gold is to ask yourself, "what can I buy with one ounce of gold today (after it's coverted to any global currency) that I could have bought 20, 30 or 100 years ago?" You will find that one ounce of gold will afford you the same quantity of goods and services throughout history. Show me a government issued currency that has been used for the exchange of goods as long as gold, and I'll show you a pig that can fly. DISCLOSURE: Gold Coins Canada (hereinafter GCC) and/or any of our emlpoyees do not have any type of financial or otherwise relationship with the National Inflation Association. GCC does not receive any type of compensation or funding for posting their video. GCC or its employees are not members of their publication. The Russian Central Bank has announced that it will issue a 5-kilogragm gold coin in honor of the 150 anniversary of the Bank of Russia. Keiser Report w/ Jim Rogers – Banks! Bailouts! Scandals! A MUST SEE VIDEO for those interested in gold. 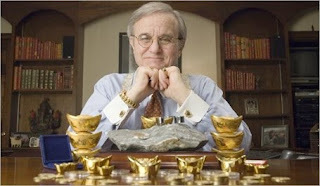 Rob McEwen: Gold $2,000 by Years End! JP Morgan’s John Bridges believes the latest breakout for gold was a huge positive sign for the metal. Today you can BREAK a country and you don't even need money, says Jim Rickards. Wall Street A House of Cards? Phony derivatives, fraud, corruption and paid off politicans! Jim Rickards says, it's 8th grade math, just look at the numbers: debt-to-GDP, U.S. money supply etc. 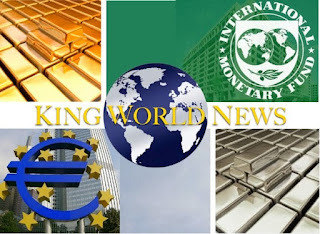 Precious metal funds posted best returns in April as markets see-sawed over the Greek debt crisis, according to preliminary performance data released by Morningstar Canada. "Government debt and related currency concerns helped boost the price of gold and other commodities," said Esko Mickels, fund analyst for Morningstar Canada. The "Oracle of Omaha" Warren Buffet is worried about currencies holding their value. Greek crisis will produce 'high drama,' Berkshire chairman predicts.